Simple and comfortable outfit - that is exactly what I like! :) When colder days come , I choose loose hoodies and sweatshirts - one of them, from Ecugo.com you can see below. 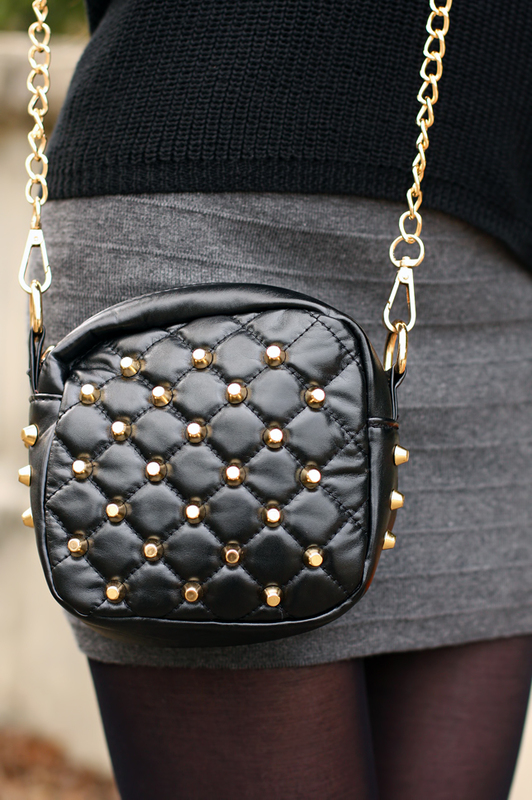 I matched it with a grey fitted skirt and original accessories: a geometric necklace and a studded bag from Romwe.com. Thanks to them the outfit got a more feminine character. amazing outfit and great pictures! 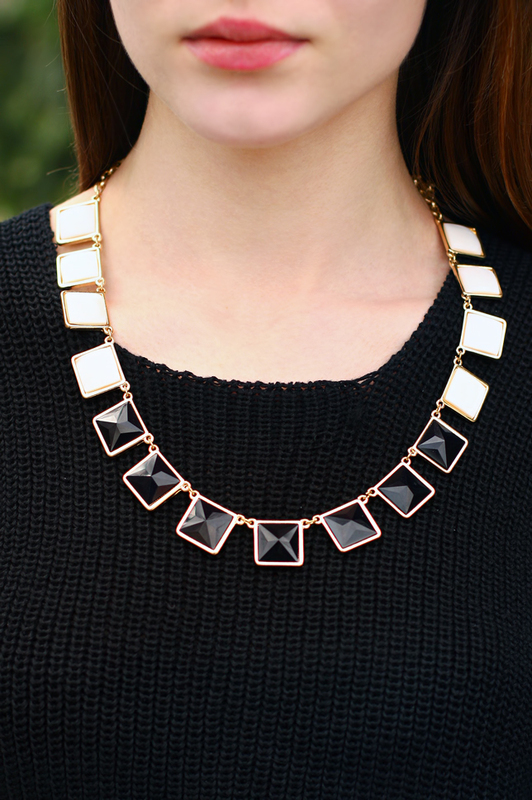 I love your necklace - suits you so good.